On today's livestream, we've got Liam O'Neill, associate producer at Fatshark Games, joining us to demo Warhammer: End Times - Vermintide. 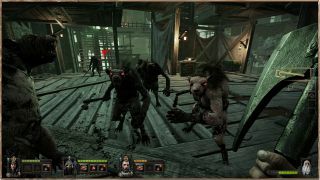 This is the first time Vermintide gameplay has been demoed live. It was our favorite game of PAX Prime this year, and is currently accepting beta signups. The livestream starts at 10 am Pacific and runs for two hours.